Iceage came into play with New Brigade introducing us to the Danish band’s heavily disjointed, brutal sound and their position as best new discovery became cemented with the release of second album You’re Nothing. But now, as many fans have waited patiently to hear another round of blistering guitars and barely comprehendable vocals Iceage have dropped…this. 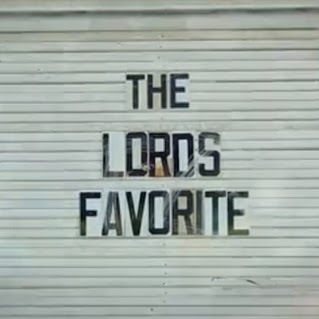 The Lord’s Favourite is the first piece of new material from the sludge punks and it’s a little…jangly? Have these guys really become obsessed with country music? I don’t know, but it’s awesome. With The Libertines apparently around playing live shows you’d think they’d want to produce new music with their sound but it seems Iceage have nabbed that off of them with The Lord’s Favourite. A cleaner guitar sound makes for some light heartedness, and then there’s a hint of acoustic guitars, a touch of basslines and hectic-but-not-too-hectic-on-a-school-night drums to create the cleanest Iceage have sounded yet. It’s like Iceage are about to meet your parents for the first time, so have put on their best shoes and given them a polish before complimenting your mum’s cooking and talking to your dad about sports. There’s still a hint of Iceage of old inside the breakdown and the instrumentation, but the new approach is definitely going to make their sound the most accessible it’s ever been. Stream The Lord’s Favourite below, and look out for more new music from Iceage in the near future, and for more music reviews, free downloads and a jangling of your keys check out Exploding Head Syndrome on Facebook and Twitter.